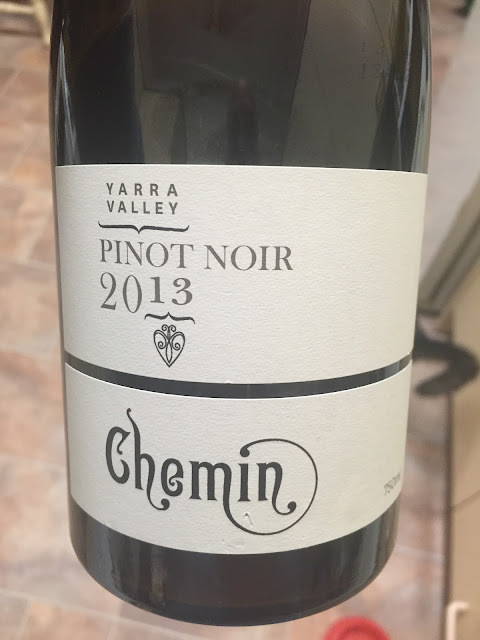 Chemin is the premium end of the Punt Road range and sets the bar high. This is 100% whole bunch Pinot from the Napoleone vineyard. Light ruby with a little copper, the nose here is all stems and jam in a form that is riper than the alcohol suggests. Luxuriantly ripe though, the full, vanilla oak etched fruit sitting with a fig paste like density and just a slight suggestion of heat. Fine, stem tannins to finish and just a little warmth. Quality wine, with a structure and class that is bang on, if a fraction ripe for really big points (2013 is a better Shiraz vintage methinks). Like.